Congratulations to Techna Scientist Dr. Bo Wang, who was recently named a Canada CIFAR AI Chair as part of the second cohort of CIFAR AI Chairs. 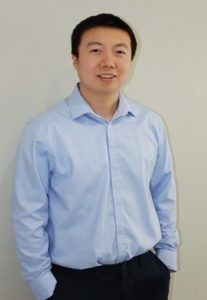 Dr. Wang leads the AI team for the Peter Munk Cardiac Centre (PMCC), developing machine-learning algorithms to help predict the course of disease and help clinicians make decisions to personalize patient care, and the prestigious CIFAR Chair will help him further that work. He is also cross-appointed to the Department of Medical Biophysics at UofT and the Vector Institute. Prior to joining Techna and PMCC, he graduated from the Dept. of Computer Science at Stanford University, and worked as an AI scientist at multiple biotech companies such as Illumina and Genentech. The CIFAR AI Chairs support Canada’s leading role in AI research and training, providing up to $1 million in funding to support the activities of each Chairholder. They are a component of the Pan-Canadian Artificial Intelligence Strategy managed by CIFAR, a $125 million investment to support a national AI research community.